Do You Get Paid for Being On Call? In some professions, employers require a certain number of workers to be “on call” and available to work with limited notice, even after their shifts have ended. In some cases, it can be life and death, such as a surgeon who needs to be available if needed. More commonly, though, employees who need to be on call might have expertise or troubleshooting skills that could be needed unexpectedly to keep a business up and running. IT professionals, for example, might need to come in to work on short notice to address computer problems that have slowed or stopped production. Pay for on-call time is when employees are paid for the time spent being available to work. However, just because you are “on call” does not necessarily mean that you will be paid. The Fair Labor Standards Act (FLSA), enacted in 1938, has defined the federal guidelines that govern whether or not you will be paid for on-call hours. The underlying question that determines if you will be compensated is whether or not the time you spend on call qualifies as “hours worked” when calculating overtime and minimum wage. When employees make themselves available in their actual office or workplace for on-call assignments, employers must pay them for the time they spend there. Because these on-call hours are spent in restricted conditions where an employee cannot use his / her time for personal purposes, this time is considered to be payable “hours worked.” Examples of these types of employees are hospital staff who must stay at the hospital during their on-call hours, and maintenance workers who must remain within minutes or miles of their facilities. Employees who are covered by employment contracts or bargaining agreements which stipulate pay for being on call also are entitled to compensation for the hours they spend on call. The situation becomes more ambiguous when an employee is on call at home. Employers will generally view this time as hours spent in “non-restricted conditions,” where employees are free to use their time however they wish. 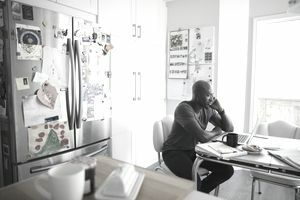 Employers can require certain things of at-home, on-call employees—that they are accessible by phone or pager, and that they refrain from drinking alcohol, for example. Nevertheless, this time does not qualify as “hours worked,” and will not be compensated. If, however, employees are prevented from using this time at home for their own purposes when they are on call, they would need to be compensated. For example, if the frequency of calls is such that employees are unable to mow the lawn, attend a child’s event, read a newspaper, or attend a doctor’s appointment during the period they are on call, they are not able to effectively use the time for personal activities and thus would have to be paid. Time spent responding to calls (traveling to and from the workplace) also counts as payable time worked. In general, when employees are exempt employees paid by salary, employers are not required to pay them for being available. Some companies may provide for on-call pay beyond that required by law. Check your employee handbook or with your supervisor or human resources department if you are not clear about what you are eligible to be paid for. If a company has a policy that pays for time spent being on call, it is obligated to cover all employees who are covered by the policy. You also should check to see if your state has its own standards for when employees must be paid for on-call time since many states have their own minimum wage and overtime laws separate from the federal government’s. Employers must follow whichever minimum wage/overtime law—either state or federal—provides the greatest benefits to their personnel. How Much Do You Get Paid for Overtime? What Does Employment At-Will Mean and Are There Exceptions?